The BitcoinMap.com website shows markers locating Bitcoin exchangers, miners, and users. 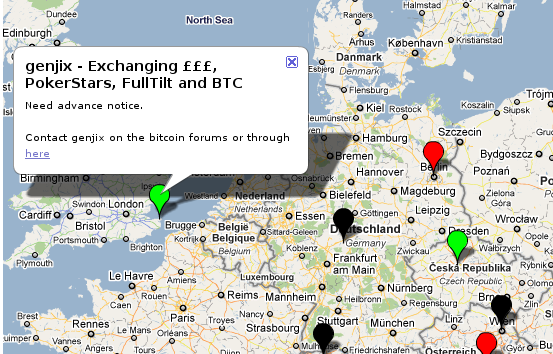 current 05:31, 15 January 2011 553 × 354 (211 KB) Sgornick (talk | contribs) The BitcoinMap.com website shows markers locating Bitcoin exchangers, miners, and users. This page was last edited on 15 January 2011, at 05:31.